YouthNation (2015) offers essential insights on modern-day youth – a generation, lifestyle and rising phenomenon that will be essential to any business’s success in the future. These blinks will teach you the ins and outs of YouthNation and help you build an up-to-date strategy for your company. 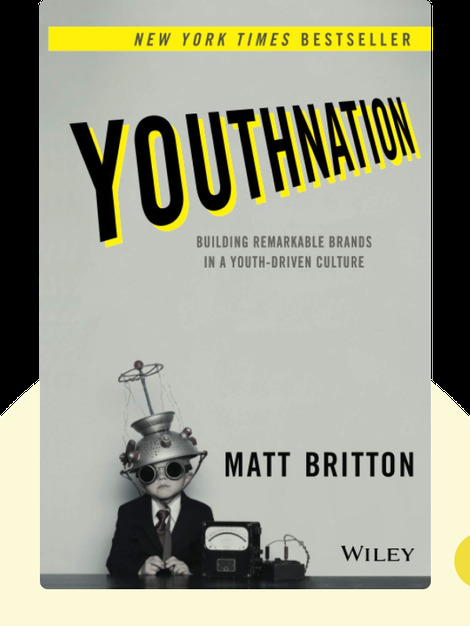 Matt Britton is the founder and CEO of MRY, a global creative agency that specializes in youth marketing. Their clients include Microsoft, Visa and Johnson&Johnson. Britton has contributing articles to The Wall Street Journal, Bloomberg and The New York Times. 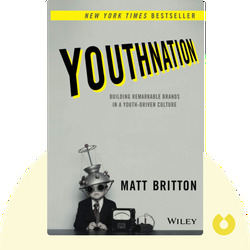 © Matt Britton: YouthNation copyright 2015, John Wiley & Sons Inc. Used by permission of John Wiley & Sons Inc. and shall not be made available to any unauthorized third parties.